Energizing Foods Guide. Craving: Energy. Who wants more energy? I think I know your answer. Part two of my "Foods for your Mood" mini-series: Energizing Foods! Here is my ultimate guide to foods that energize. Busy as a Bee??? Feed yourself well, fuel your day! What is an "Energizing" Food? Great question. 'Energizing' foods provide a quick energy boost from high quality carbohydrates. Low quality simple carbs like white table sugar may give you an immediate energy jolt, but in a little while you'll be 'crashing' and craving more sugar. Don't make this mistake. Instead, it's important to choose high quality nutrient-dense carbs like fresh fruits and fruit juice. Then add healthy fats and lean protein to your 'energy snack' to give you long-lasting energy. Healthy fats include foods like raw nuts and nut butters. "Energizing foods" have a bit of edge, punch, pizazz! To start a busy day, you don't want to be eating a giant warm creamy bowl of oatmeal-stuffed with moist warm fruit and nuts and toast with jam on the side. Healthy ingredients-yes, but anything too heavy or 'comfort-inducing' may leave you wanting a nap rather than a jog. Live Raw Foods. My favorite types of energizing foods are those that are live and raw. Foods like raw (not roasted) nuts, fresh organic fruit, veggies and seeds all contain live enzymes and will be easier for your body to break them down into energy-yielding calories. This is important: The faster your body breaks down your food, the faster it enters your bloodstream to provide you ENERGY! The best example...if you are going for nuts: choose raw instead of roasted. 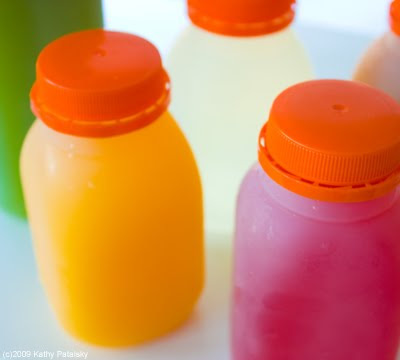 If you are going for juice: choose fresh-pressed rather than 'been sitting around on a store shelf for a week' juice. What to Avoid. Avoid foods that are big-portioned, have a high ratio of carbs compared to fats and proteins (however, fruit is an exception here.) When choosing a high-carb snack make sure it has fiber, fat and/or protein included. Nix caffeine from coffee and espresso. Stick to tea if possible. Nix the alcohol. Drop the low-quality simple sugars (remember the crash and burn effect). i.e. candy and processed snack-carbs. Stay far away from bad for you fats like greasy fried foods or heavy high carb entrees. Big bowls of pasta, thick-crust pizza, big veggie burgers and other big-meal types should be avoided until the end of the day. And FYI, you can still eat a 'big breakfast' or 'hearty lunch' without triggering a nap session-just choose wisely. Overall, try not to over-exert your digestive system. Small meals throughout the day will keep your blood sugar up. Balancing your blood sugar levels throughout the day is a key to energy success! If they drop too low, so will your energy. OMEGAS. Omega fatty acids have been shown to ward off depression, which can lead to fatigue. Foods like walnuts and flax seeds are great vegan options for omega nutrients. Flax seed oil is easy to add to a smoothie or juice. Electrolytes for Hydration. Electrolytes aid in keeping your body hydrated. Staying hydrated is a very important part of fighting fatigue. Studies have shown that a dehydrated body is less productive than a fully hydrated one. Even a dehydration level of as little as 1% can have an effect on your energy level. "At 2% dehydration physical performance levels decrease 5-10%; at over 4% dehydration, physical performance levels decrease 20-40%." -Clark Elliot, Work Practice Consultant. So here is my list of Energizing Foods, including a very brief reason as to why I find them 'energizing'. A few of these foods will be featured in recipes later today. The best energizing-hydration-inducing beverage around. 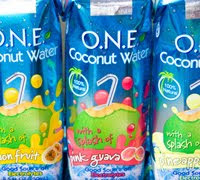 Contains electrolytes and a small amount of natural sugar to keep you hydrated and energized. A must for sports activities. It really is nature's sports drink. Learn more here. Juice contains high quality natural carbs that are easily accessible to the body. Juice also contains vitamins and minerals. However, not all juice is created equal. Choose fresh pressed LIVE raw juice that has not been pasteurized, for optimal energizing qualities. More enzymes in live juice. If you haven't invested in a juicer...what are you waiting for?! More about the 'fresh OJ rule' here. My at-home juicing 101, juicer advice here. 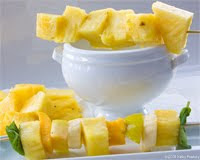 Fruit is great because it contains everything that's in fresh juice, but as a bonus, it contains fiber. It is also more portable than fresh juice. Take an orange or apple to work and it stays LIVE and raw until you are ready to eat it. The fiber will assist in slowing down the absorption of sugars to give you a longer lasting 'energy high'. I love adding a handful of raw nuts or seeds to my morning juice snack. True, nuts (which are mostly fat and protein) won't necessarily give me a boost of 'instant energy' but they will help slow down that fruit juice and give me a longer-lasting energy buzz. Plus since my nuts are raw, all those nut and seed enzymes are still in tact. 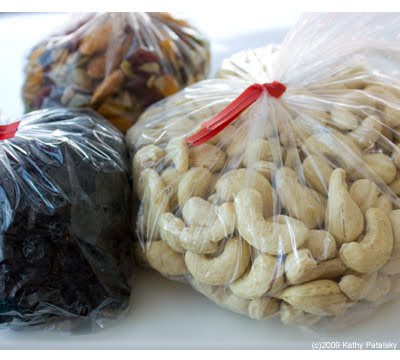 Nuts and seeds also contain a plethora of fatigue fighting nutrients like B vitamins, protein and omegas. 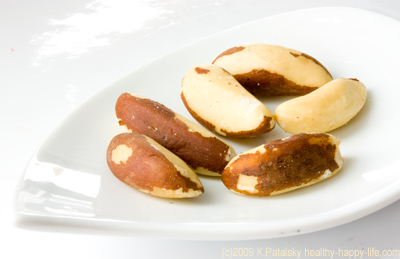 My fave nuts and seeds for energy are: almonds, cashews, walnuts, Brazil nuts and sunflower seeds. It's pretty hard to find a food with more bang for your calorie buck than dark leafy greens. They contain an enormous amount of nutrients for very few calories. Spinach, mache, arugula, watercress, parsley, romaine, wheat grass and dandelion greens can all provide you with energy-boosting enzymes, vitamins and minerals. But since you'd have to eat quite a big salad to get any heavy duty carbs, many wellness foodies have become obsessed with 'green juice'. Green juice may contain 100% juiced greens, or a combination of fruit juices and green juices. Energy-high juice=green juice! A good example of green juice is One Lucky Duck NYC's 'Swan Juice' which contains cucumber, spinach, dandelion, pear, grapefruit, tarragon, spearmint, yuzu. It's awe-some. If you have a store or cafe in your town that makes fresh pressed nut/bean/seed milks, consider yourself lucky. Why? Because the process of making at-home non-dairy milks is very tricky. As I recently discovered. But there is something incredibly energizing about fresh-pressed milks. Almond and hemp milk are amazing. Fresh soy milk is a must-try. These milks contain a tinge of fiber, solid protein, some carbs, healthy fats and a lot of delicious taste. Long-lasting liquid energy, protein included. 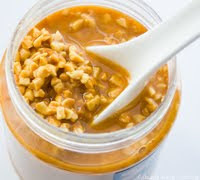 Bonus: They usually contain a natural sweetener like maple, brown rice or agave syrup to add to the quick-energy carbs. 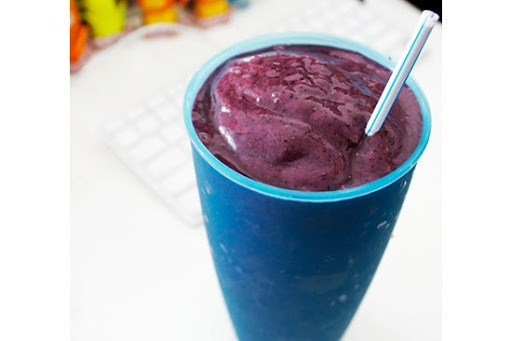 Smoothies are definitely a great energy food. They are easy to customize to contain that delicate energy-yielding combo of fat-carbs-protein. Simply add in a few nuts, flax seeds or healthy oils for healthy fat content. Simply add your fruit juices for carbs. Frozen fruit for fiber and carbs. And you can add in non-dairy milks or vegan supplements for as much protein as your body craves. I love to end a workout with a giant smoothie, but I'll drink coconut water before and after my activity. Grab my iPhone Smoothies! 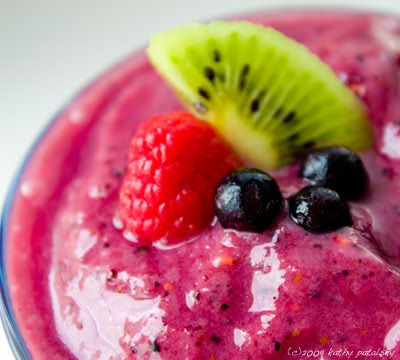 App and you'll have vegan smoothie recipes at your fingertips where ever you go! 9. Warming Herbs, Spices. Spicy Foods. Ginger, cayenne, mint and cinnamon are just a few ingredients that you can add toyour diet to stimulate your body. 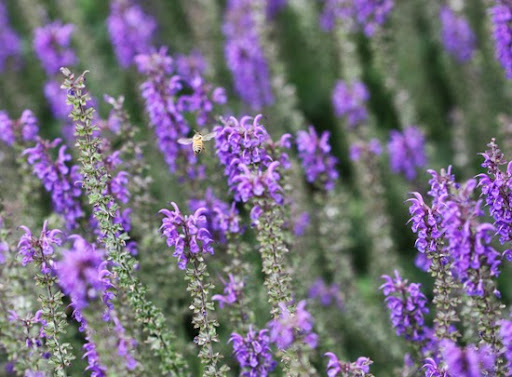 These ingredients are warming, stimulating and 'perk your body up'. Studies have shown that 'spicy foods' can actually have many benefits-including increasing your metabolism for a short period of time. Burning more fuel, means more energy in your tank. Check out my full list of perk-you-up-foods. So sleep isn't a food, but it's so incredibly important to your energy levels that I had to stick it on the list. Without an adequate amount of high-quality sleep, it really doesn't matter what you eat. (Not really, but you get the idea). Fact: Napping is not only OK for adults, but incredibly good-for-you! I am such a believer in naps. I think every office building, school or college should have designated napping rooms with rentable clean pillows, blankets and light/sound therapy. It would sure beat those 4pm naps in the school library or that bit of shut-eye at your desk. Take a Power Nap: "The Benefit of a Power Nap: Studies show that 20 minutes of sleep in the afternoon provides more rest than 20 minutes more sleep in the morning (though the last two hours of morning sleep have special benefits of their own). The body seems to be designed for this, as most people’s bodies naturally become more tired in the afternoon, about 8 hours after we wake up." -Elizabeth Scott, M.S.